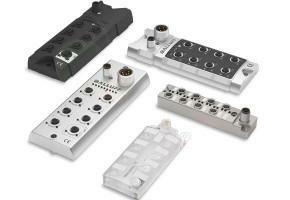 I/O Link: Intelligent Solutions for Industrial Automation. If you are an electrical engineer, and you work on industrial systems with PLCs and RTUs, and cable ducts jammed with copper wire bundles, you may be looking for an alternative. Enter the IO-Link – an alternative method to field wiring that creates a “modular” approach. It allows universal communication from individualized automation processes all the way to the main control unit… and vice versa. IO-Link makes it simpler, smarter, and creates a universal language of communication throughout the process which makes diagnostics easier as well. IO-Link has been called the “USB interface” of automation because it’s so universal. Something catch your eye? Send us a message and we will be in touch with you shortly.